Latin America: forgotten or buzzing? It is about time for us to provide an update on our whereabouts in Latin America. With Business Development Manager Simone Martins on the team again since 2016, Latin America has since gotten the well-deserved attention that was long overdue. But we are still amiss as to why Latin America’s representation is missing from most SRHR & AIDS conferences and the global health field. So hereby an update with the latest data, actions, and exciting news! Whereas Latin America is doing well in terms of contraceptive prevalence rate and meeting family planning demand, there is still a lot of ground to be gained. This was reconfirmed by this week’s launch of UNFPA’s State of the World Population (SWOP) report. Contraceptive prevalence rate for women of reproductive age (15-49) in Latin America ranges from 37% (Haiti) to 77% (e.g. Brazil). If you look at the unmet need for family planning, a country like Bolivia scores 18% (with Haiti at a staggering 31%), whereas other countries like Costa Rica (6%) are doing better. Still, 18 out of 100 women in Bolivia have an unmet need for family planning and in Haiti, over half of the women do not use any type of contraception. These numbers don’t lie; they translate to a high number of unplanned pregnancies, as well as a much higher chance for these women to get infected with an STI, including HIV and Zika. So, what about Latin America?! Is Latin America the forgotten continent when it comes to sexual and reproductive health and rights? The world briefly turned to LATAM when the Zika crisis hit and women were bearing babies with microcephaly, but ‘Zika’ now seems to have disappeared from the news. Rainy season is on our doorsteps, and Zika is far from gone. It might not be broadcast by world news stations, but Latin America is buzzing. One example is a new two-year programme that is about to give a big push to contraceptive access in twelve countries on the continent. The Coalition’s Regional Forum for Latin America and the Caribbean (ForoLAC) launched: “Encuentros: Contraceptive Procurement Improvement in Latin America”, an initiative which is meant to create a bridge between the (largely ignored) Latin American continent and world advances in contraceptive commodity security. According to ForoLAC, Latin America is notorious for being the most inequitable region in the world, with high average contraceptive prevalence rates that mask huge disparities and inequities. In addition, most Latin American countries have been graduated by donors and have been bypassed by global innovations. Efforts by the Female Health Company: news! The state of Latin American women’s sexual and reproductive health and rights became painfully exposed when the Zika crisis hit the continent. With abortion restrictions or -bans in place in many of the Latin American countries, and poor access to contraceptives, lots of women often had no choice. In order to help those most in need, Female Health Company donated female condoms to three of the most affected and in need countries; Honduras, Colombia, and El Salvador. Since then, we have reached out to governments’ Ministries of Health, women’s groups, NGOs, and multilateral donors. Female Health Company has taken it upon themselves to fight the unequal access to commodities in the region by working for improved access to the female condom. We aim for supply and demand for female condoms to meet each other at all times. How? 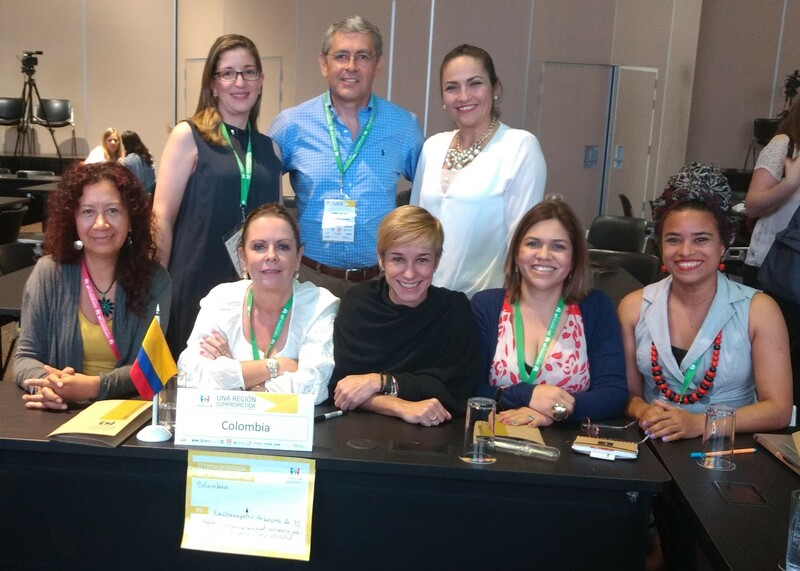 With a multinational partnership with DKT Brazil/Latin America who will help to make the FC2 female condom available in 8 countries in Latin America under the Prudence brand! This is the first partnership of its kind in the region. But much else is happening around female condoms in the region. Costa Rica appointed September 4 as official national Male & Female Condom day. The Vice-President Costa Rica, a true female condom advocate, met with Simone Martins, our Business Development Manager, to discuss plans for the region. In Chile, the President of the Health Commission and a group of parliamentarians introduced a bill that proposes the incorporation, acquisition and distribution of female condoms into the plans of the Chilean Ministry of Health. ICW Chile, a network of power-women working to create quality reproductive & sexual health services for HIV+ women, is doing amazing work in female condom advocacy with, amongst others, the Chilean Ministry of Health. As Marcela Silva Almonacid, representative for the Chilean chapter of ICW Latina, says; "The female condom is necessary to prevent sexually transmitted diseases and unwanted pregnancy as well as to allow women to empower themselves and make decisions about their own body." 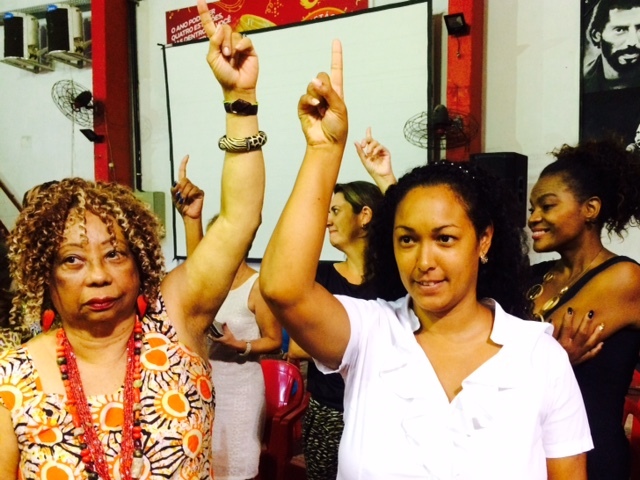 Brazil, THE example of a country that has successfully institutionalized female condoms nationwide, ran a national female condom media campaign for Global Female Condom Day. UNFPA Uruguay launched their research publication detailing female condom acceptability rates, with a staggering 77% of women stating FC2 was ‘good or very good’ and 84% saying they would continue FC2 use in the future. Read the full report: From pilot study to public policy: Promotion and distribution of the female condom in Uruguay. As we said; Latin America is buzzing. And how to illustrate this better than by an account of one of our local partners? Read Ana Gabriela Solano Rojas’ story of all the efforts that have been taken in Costa Rica over the past 10 years to institutionalize FC2 in the country. We will make sure to keep you updated on our Latin American ventures! Female Health Company enters multinational partnership with DKT Brazil/Latin America to make the FC2 female condom available in 8 countries across Latin America under the Prudence brand! Curious about the services FHC provides for free? Based on procurement, FHC provides training materials, o-cubes (demonstration models), in-person training by master trainer, and technical support in the distribution and registration process, as well as capacity building for partnering NGOs & CBOs. For a detailed overview, see our Prevention Support Packages. Female condom provision manual (Spanish) –Guía de dispensación del condón femenino para proveedoras y proveedores de servicios de salud; technical and methodological tools for health care providers, for promotion and proper use of the female condom. Guide to female condom utilization (Spanish) - Guia de Uso del Condón Femenino.